I grabbed my jacket and umbrella. We were heading over to the art school. Walking down the street in amiable silence, I thought to myself as I looked up at the sky, how like a painting it was. Weather – it seems so strange and changeable these days, but it always has been a preoccupation of human beings. It’s always there, and we oddly expect it to be at our beck and call – to rain when we have planted seeds, spread sunshine on our sidewalk cafés, blow wind in our sails and give us a sunny day on our birthday. We depend on it for something as simple as a picnic or as vital as our very survival. We can be delighted or depressed by it, soothed or angered. Yesterday I was at the plant nursery getting a few pots of pretty flowers for the balcony. It was 31 degrees Celcius and the wind was blowing like crazy: tarpaulins were rattling, the poor plants were being tossed and bullied by the wind. It all made me very annoyed and gave me a headache. When the rain came later in the day, I was relieved. I sat on the balcony with my newly purchased floral companions and watched the storm clouds billow and build. This morning as I shiver over my cup of tea and bring the poor creatures inside to shelter them from the plunging mercury (it is now 9 degrees! ), I look up at the wispy clouds and misty sunshine with the knowledge that they are in control of our lives in whatever form they choose to take. Love the weather, or hate it. Complain about it or accept it. Rail against it – revel in it – we cannot master it. Except perhaps, I mused, on canvas. How often does weather of all sorts feature in our art. Here are a few of my favourite weather controllers. Constable painted the sky over and over. As he lived in England, it offered an ever changing model! It is said he would sit in one spot, paint, turn a quarter turn and paint the next scene and so on. In any case, he certainly depicted the beauty of the changing sky, the important presence it played in country life, and the tininess of human existence in comparison with it. 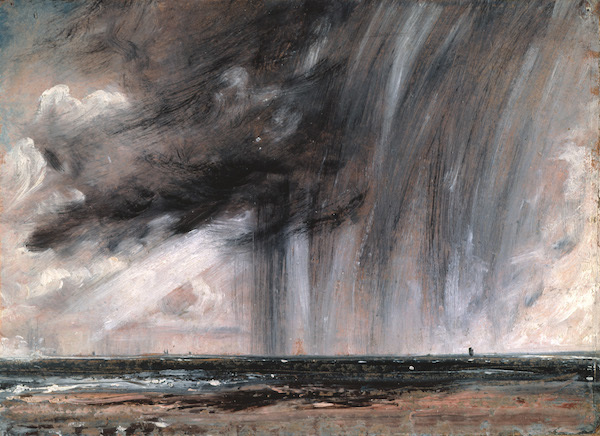 To the left is Constable’s Seascape Study with Rain Cloud and, although done in 1824, it looks very modern, I think. 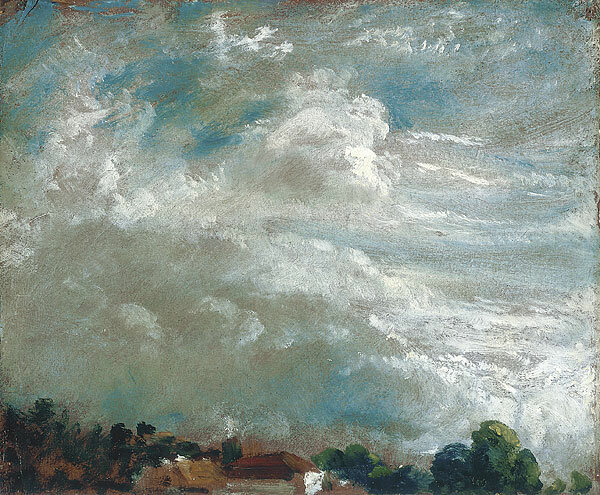 J. M . W. Turner lived and painted in England around the same time as Constable. He took weather painting to new heights with the human element barely obvious. 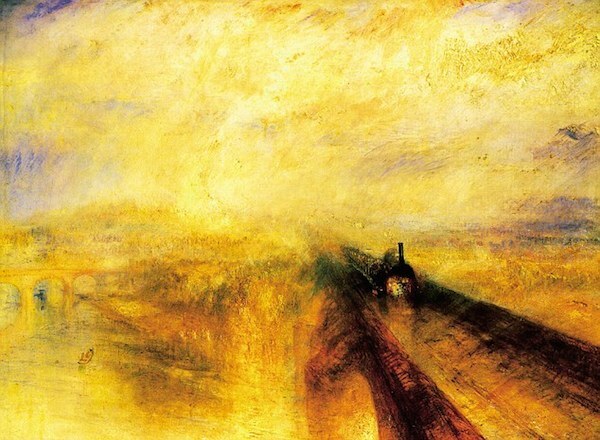 In both these paintings, the powerful steam-driven machines of his time are swallowed up in atmospheric grandeur. 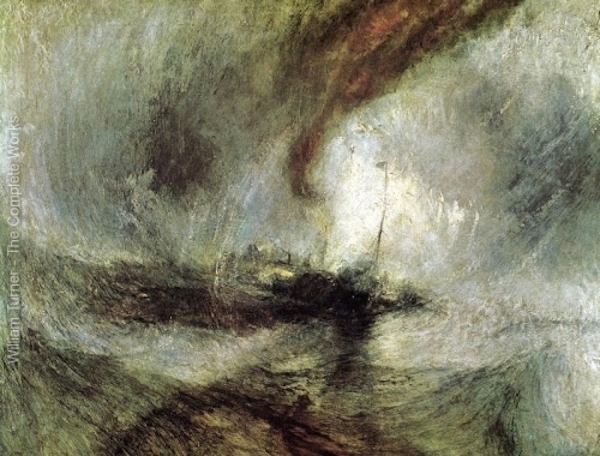 There’s a great scene in the movie, Mr Turner, that shows him being strapped to the mast of a ship to really get the feel of what that kind of weather was like. Claude Monet was a French painter also very curious about and enthralled with the effects of weather on his subjects. He did many series of the same subject in different weather and under different light. Houses of Parliament with Sun Breaking through the Fog 1904 shows sun and fog with the great seat of the British government a mere shadow in the distance. You can’t talk about sunshine without mentioning Vincent Van Gogh. 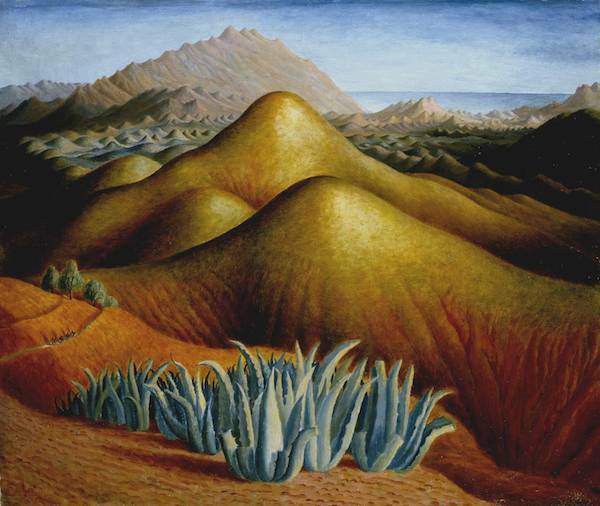 After living and painting in Holland and northern France and mostly in brown tones, he moved to Arles and was dazzled by the colour and light. He wrote to his brother Theo, “How lovely yellow is! It stands for the sun.” From then on, his paintings become the vibrant images that we are so famliar with. 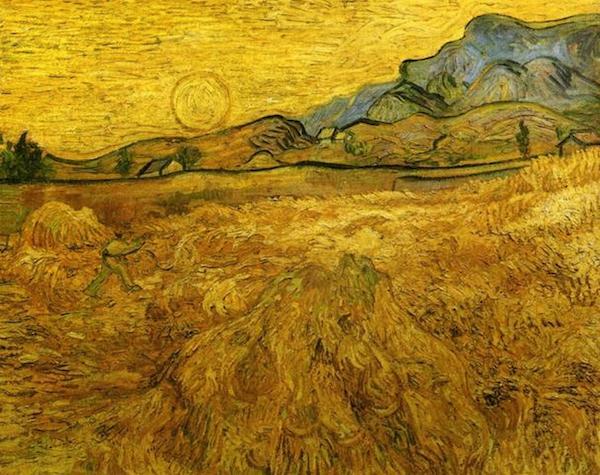 Wheat Field with Reaper and Sun 1889, shows Vincent’s love of the land and the people who worked it. He makes the reaper (very difficult to find in the painting) one with creation and the light of the sun, showing his dependence upon it and his harmony with its power to provide. 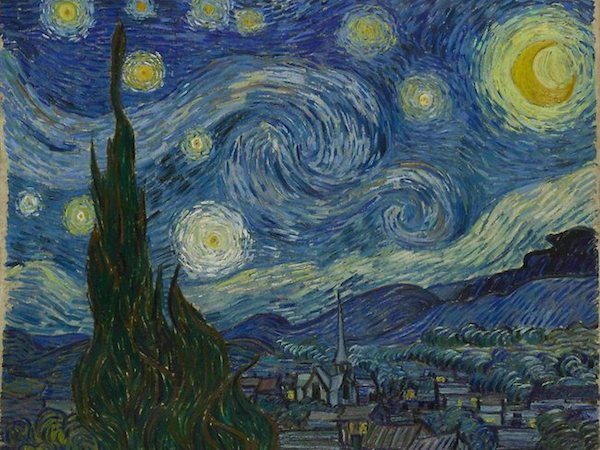 And The Starry Night, 1889, seems to depict so much more that a benign summer’s evening with those great globes of light and wind whirling through the sky above the tiny sleeping village below. Dora Carrington, though not as well known as the artists above, usually finds her way onto my lists of favourites. Here she paints the hills of Spain. They are eerie in that there seems to be practically no weather. The airless stillness depicts a weird landscape with almost human features that appears itself to be breathing in and out creating its own environment as it does. I can’t write about weather paintings and not include the Group of Seven. How can I choose? These artists, painting from nature and wishing to capture the vitality and distinctiveness of the Canadian landscape at a time when most “colonial” artists were still painting in the Eurpoean style, would go up to Georgian Bay and set up their easels in the wildereness, painting what no painter had done before with such vigour and truth. Here is Fred Varley‘s Stormy Weather painted in 1921. 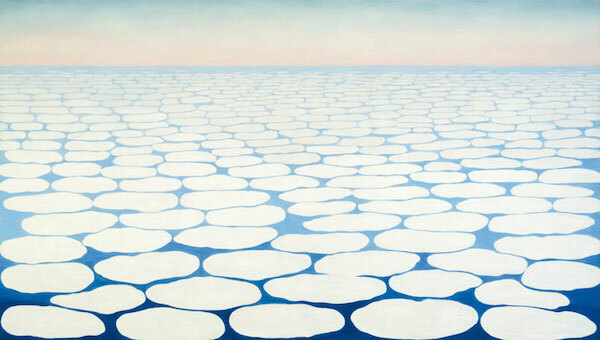 This is Georgia O’Keefe‘s Sky Above Clouds IV painted in 1965 when she was almost eighty. It was an abstraction of her experience of flying above the clouds which excited her very much. This is weather from the “other side”. 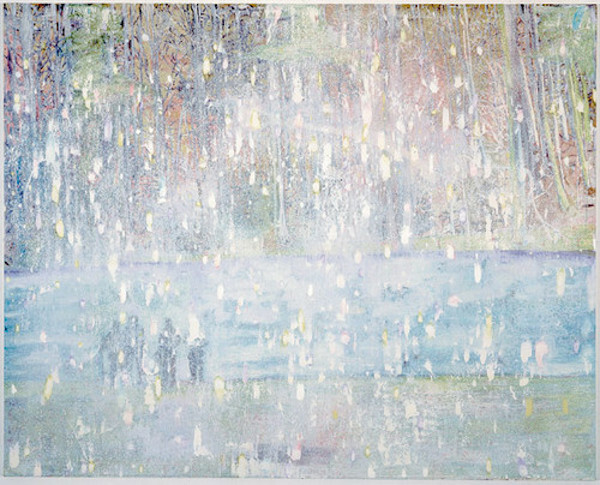 Peter Doig is an artist claimed by many to be a native son. He was born in Scotland, raised in Trinidad and Canada, studied and painted in London and now lives in Trinidad. This painting was done near his parents home in Colburg, Ontario in 1995, before he became rich and famous. The cryptic title, Coburg 3 + 1, does not say much about weather, but I believe the image speaks for itself. Helen Frankenthaler, one of the few women among the Abstract Expressionists who began working in this new style in New York in the fities and sixties brought a certain upbeat mood to the genre. We can see this in her Basque Beach done in 1958. Here is weather at its finest, in my opinion. Her paint, the sun and wind and sea are one. So sunny days or stormy, windy, breezy or still – the weather is ever changing and beyond our dominion. But how wonderful it is that art and artists are able to capture it as they do. 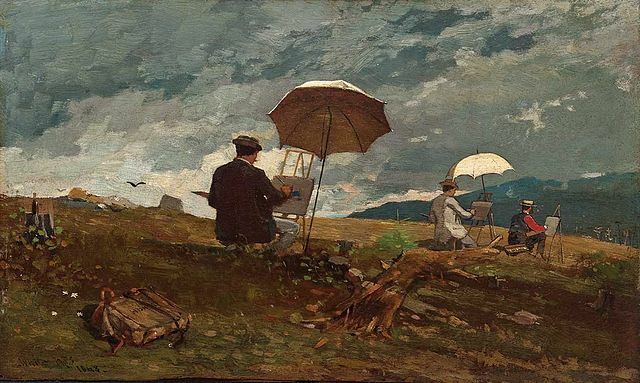 The image at the top of the page, by the way, is Winslow Homer’s Artists Sketching in the White Mountains done in 1868. 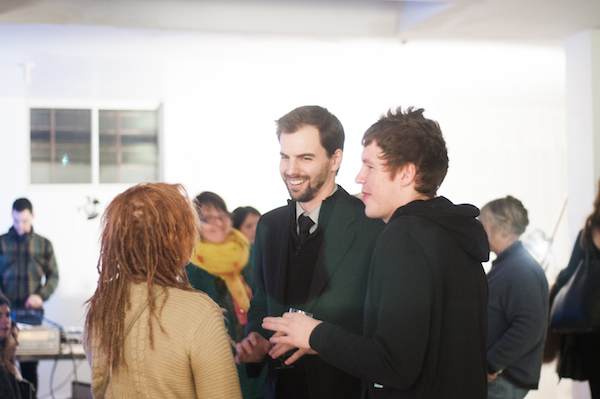 Take some art classes – you too may learn to control the weather! !